When you find something you enjoy creating and people seem to enjoy receiving, you just keep doing it - right?! 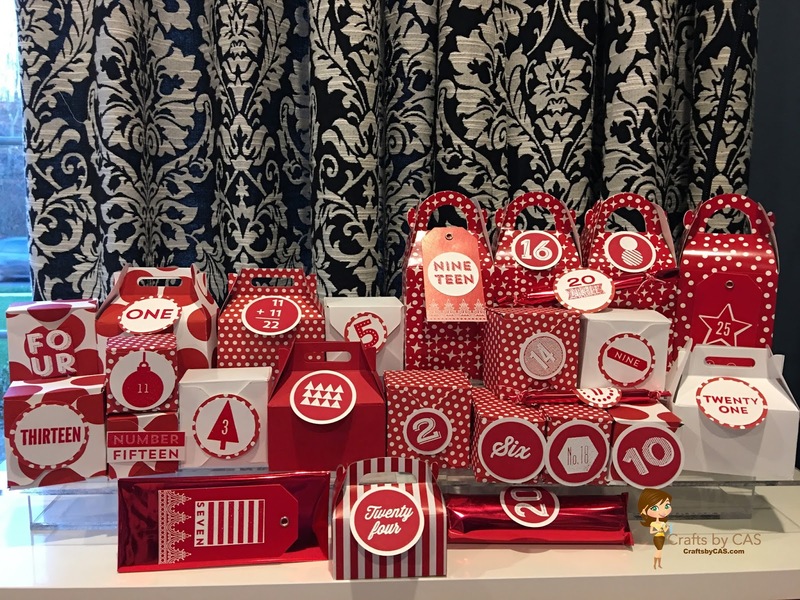 The beauty advent calendars I gifted to my sister and a dear friend were a huge hit last year (HERE). I'm stepping up my game this year and adding my mother to the recipient list! 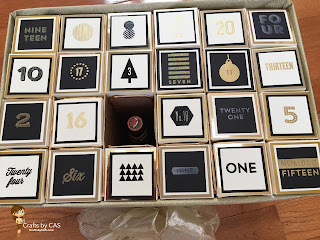 I actually had enough samples this year to make three complete advent calendars. There was so much product that my crafting table was just too small for the group shot of all the items and I had to spread them out on my family room floor and get a photo from above. I'm walking a fine line between being embarrassed and extremely proud of myself for the size of the pile. I'll go with proud! 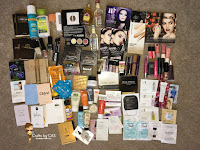 As I mentioned last year, the majority of these items are freebies. You know, spend a bazillion dollars on candles, get a free travel size lotion (Bath and Body Works). 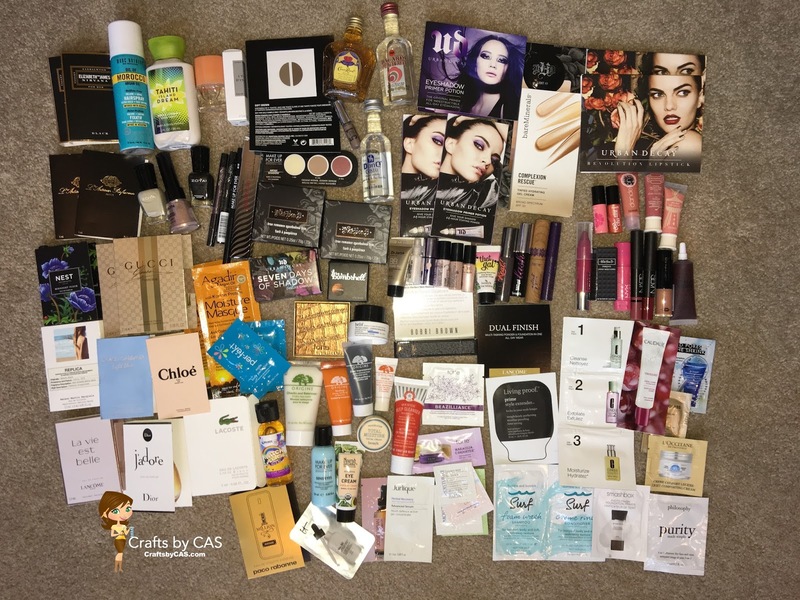 You may have noticed by the picture that some items in the pile aren't beauty related at all (Crown Royal - that would be for my sister) and I just added them for fun. Can I keep this up each year? Probably not. 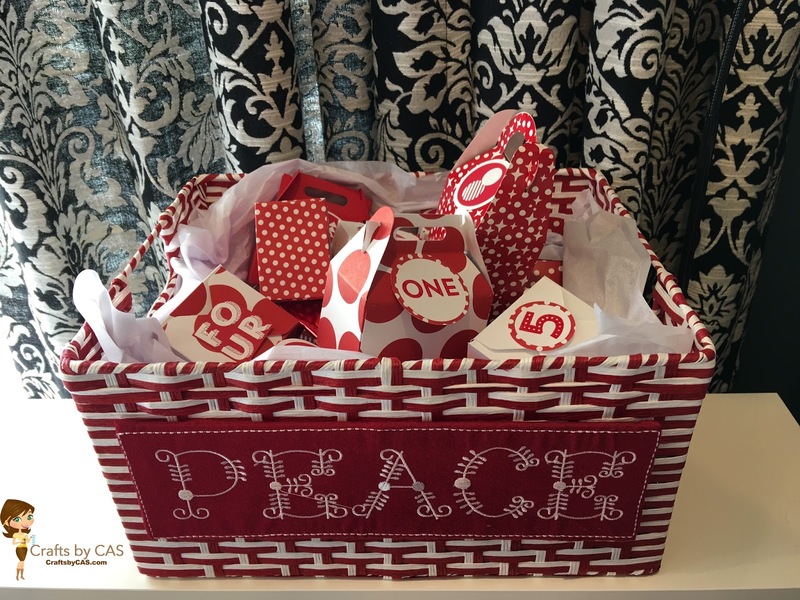 I'm wrapping them pretty much the same way I did last year - a mixture of boxes made with my punch board, ones made from my gable box die, and wrapping some of the larger products in tissue paper. 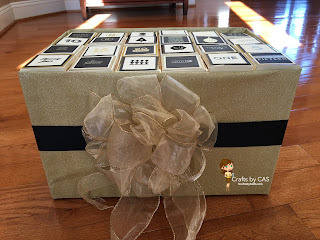 The 25 Days stamp set from Stampin Up! (retired) is my go to for advents. I also used this set on Jon's Beer Advent Calendar this year (HERE). Home Goods to the rescue again for containers to hold everything. 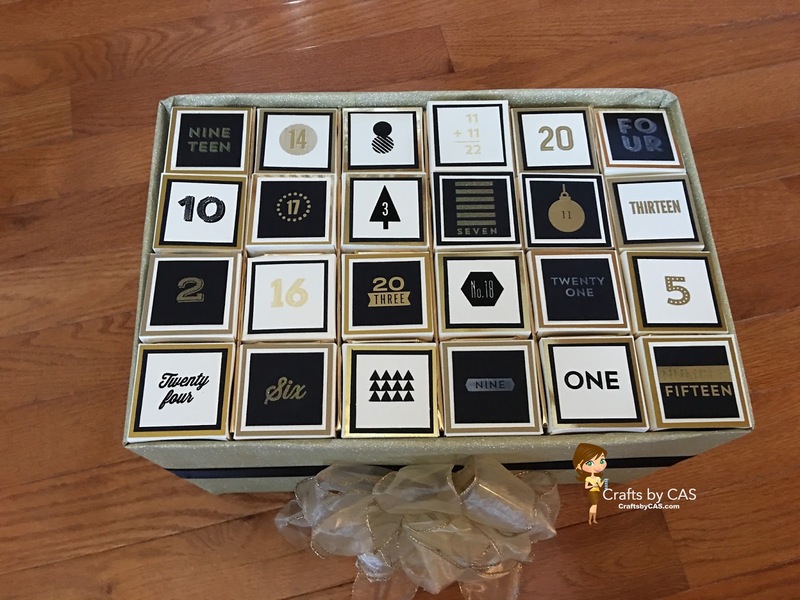 Last year I discovered how fun it was to make and give Advent calendars (HERE). When it came to my husband, I went the store-bought route with the 2014 Star Wars Lego Advent Calendar. He was amused with it and thought it was 'neat', but I knew this year I wanted to come up with something that would wow him. Beer....beer would really wow him! I've been brainstorming for a while and thought long and hard about the packaging (I seem to hyper focus on packaging when it comes to these projects). I found this 24 Bottle Pack carton sold at Uline.com. 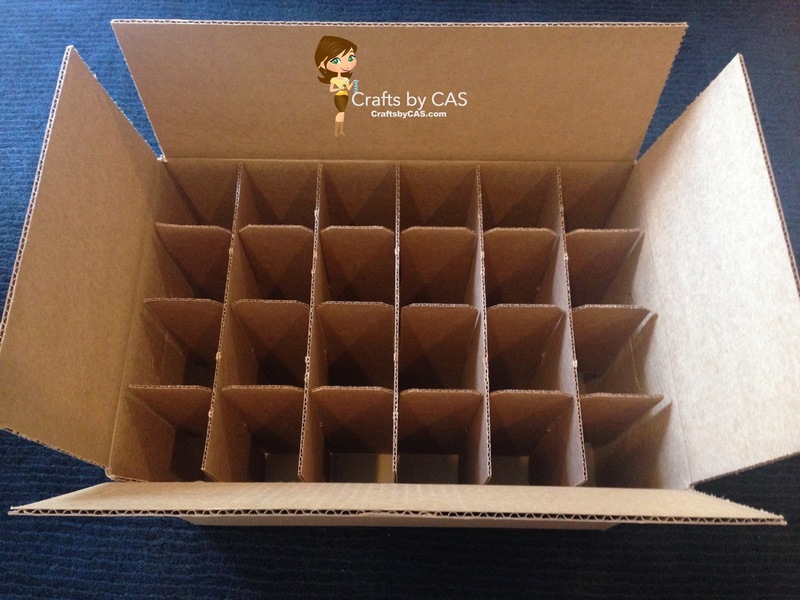 The boxes are extremely sturdy and a perfect solution. 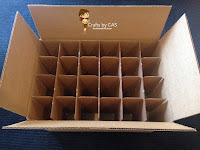 I did have to buy a bundle of 10 boxes, but I think I'll be reusing this idea in future years. 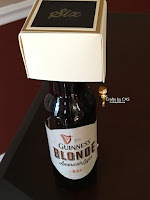 I wanted every day to be a different beer and each to be a surprise, so I came up with an idea to create little covers for the tops of each bottle. Using the Gift Box Punch Board from We R Memory Keepers, I made (24) 2 1/2 x 2 1/2 x 1 3/4 inch boxes. 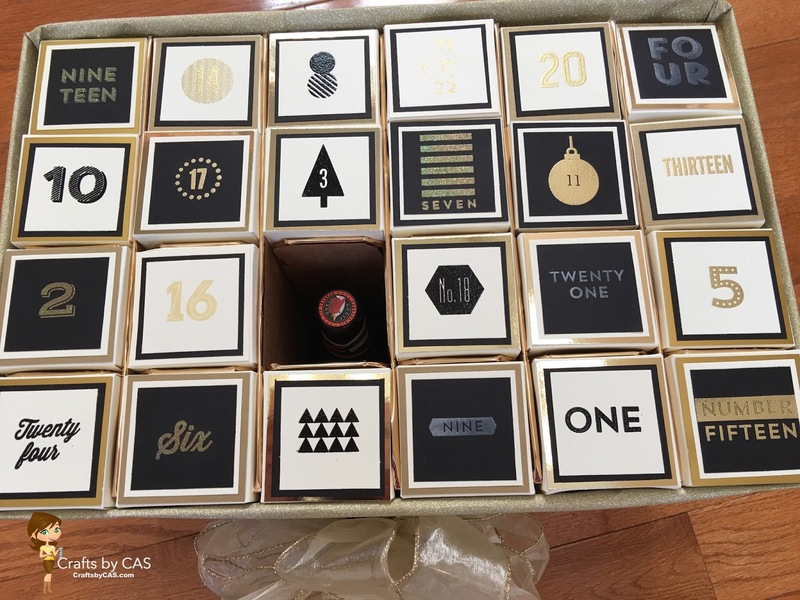 I snipped off the flaps that create the top of the box to give me an open container, so that each bottle could be covered with the calendar numbers. 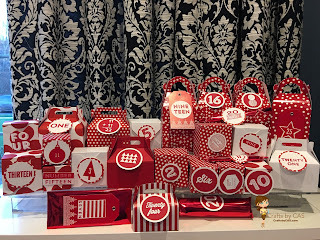 For the numbers on the boxes I turned to my (retired) 25 Days stamp set from Stampin Up! 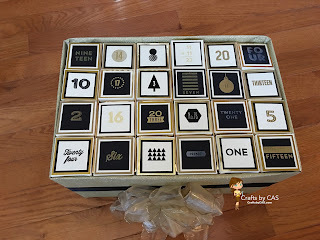 - this has been my go to stamp set for Advent calendars. Stamping and heat embossing the 24 numbers did take a bit of time for this project, but I'm happy with the results. 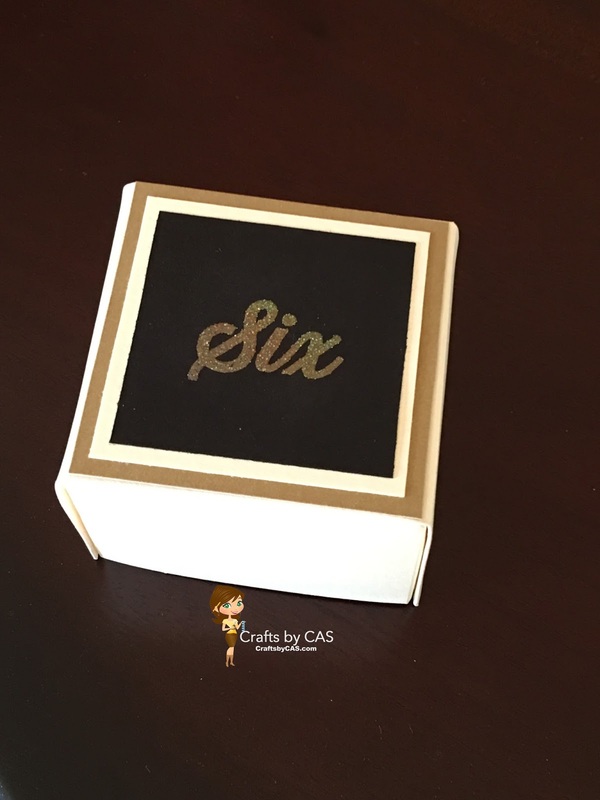 I ended up using three different gold embossing powders and realize one would have been just fine. Hey - I had them in my stash....might as well use them! Actually, most of the items for this project I already had in my stash with the exception of the cardstock (cost was only $3), glitter wrapping paper (clearance), bow (clearance), the box....oh yeah, and the BEER! Let's discuss beer - this is winded and boring, and maybe the last sentence is the only relevant one. We live in Pennsylvania, a Commonwealth with very strange alcohol laws and regulations. 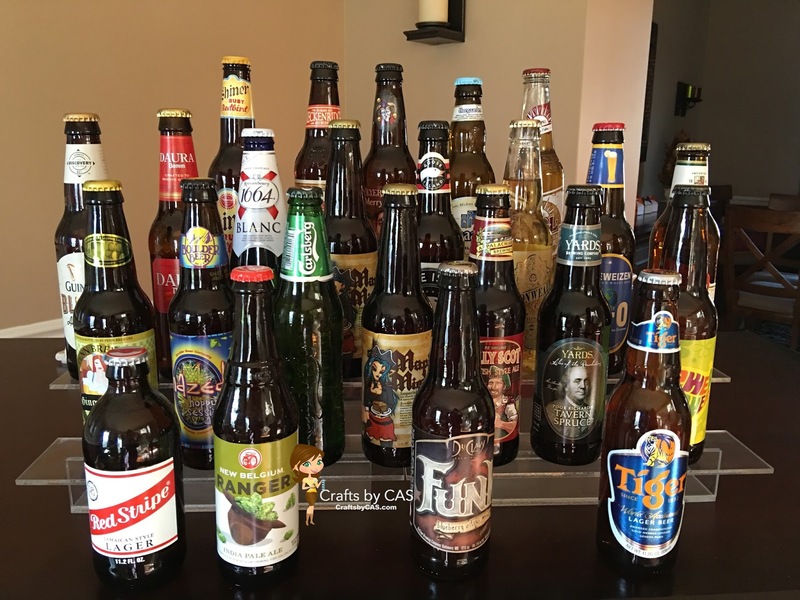 For the most part, beer can only be purchased from a restaurant, bar, licensed beer store, or distributor. Beer distributors mainly sell kegs of beer and cases. Six and twelve packs can be sold at bars and some retailers. Only within the past few years did some supermarkets start to sell alcohol and there VERY specific rules that go along with that grant (one of them being I can only purchase 2 six packs of beer at a time). I certainly didn't want to purchase 24 cases, two 1/2 cases or even 4 six packs. 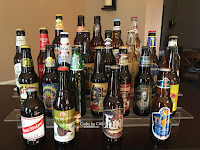 My goal here was to have 24 different beers. The Wegmans near my house allows a customer to create their own six pack. The maximum number of six packs that can be purchased at one time is 2. That's only 2 trips to Wegmans....at $11.99 a six pack. Whoa! The things I do for a good Advent calendar. Now to the assembly - I cut the lid flaps from the box with a (wait for it) box cutter. :D I wasn't crazy about the edges of the compartments, so I used gold foil tape from my stash and covered the exposed edges. I actually think this step was unnecessary as you can not see the edges well with the box caps in place. I found some great glitter wrapping paper from Michael's and wrapped the box, folding pieces over the top to cover up the exposed edges. I used score tape for this because regular scotch tape did not stick well to the paper. 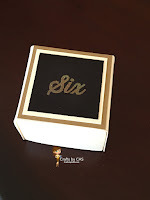 From my stash I had a two inch wide black ribbon and wrapped it around the center of the box and attached a purchased gold bow to the ribbon. I did purchase the 2015 Star Wars Lego Advent Calendar as back up, but something tells me he will love this! Thanksgiving in the US is next week and I need to quickly switch gears from Christmas and get working on turkey day! 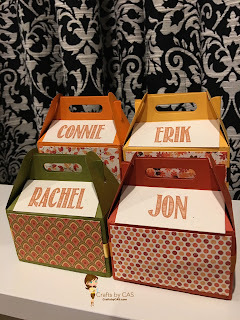 Another holiday dinner needs yet another creative way to display place cards. The struggle to come up with a new twist on place cards several times a year is real for me. I like the idea of freshening up the card designs for each dinner. 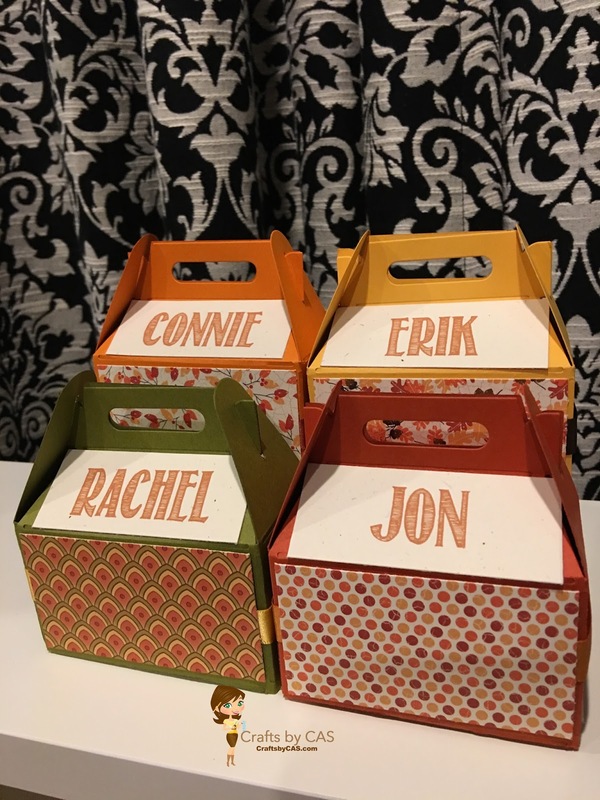 I've decided to use my new gable die from Papertrey Ink (PTI) to create little boxes, and tuck candies on the inside and display guest names on the outside. A little tasty treat at each place setting! 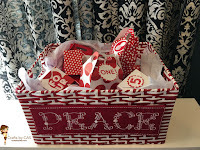 All of my cardstock, patterned papers and ribbons were from PTI. Since my handwriting isn't that wonderful, I printed the names using Word. I have a love/hate relationship with glitter; I love the look....but the mess, not so much! I believe the last time I actually used glitter was for ornaments (here). 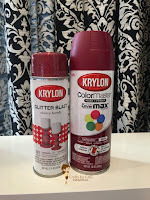 Lately though I've been really attracted to glitter and glitter paper (spoiler alert...2015 Christmas cards), and while I was at Michael's recently I found glitter spray paint! 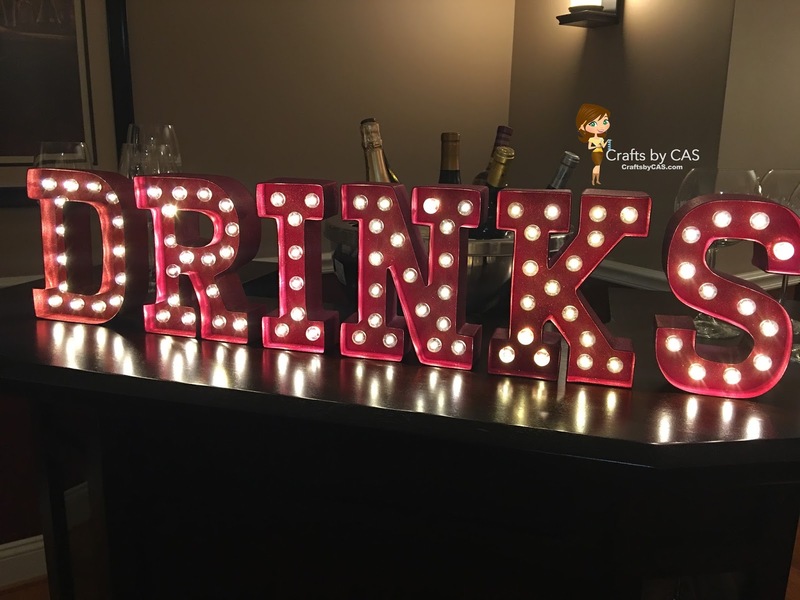 We will be hosting several gatherings over the next few months and wanted to come up with a display for our self-serve beverage area. 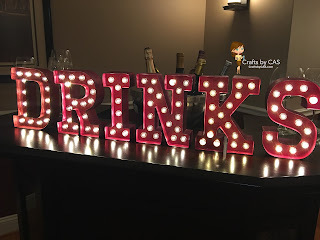 I'm using the Marquee Love collection to spell out the word DRINKS and spray painted them with red glitter paint. It took me an entire can of paint to realize that I really needed to base coat them first. I love the results and the battery operated lights are really bright! 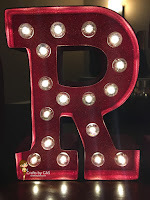 I'm probably late to the marquee letter party, but I'm here now! It's finally my favorite time of the year in Pennsylvania: Autumn! The daytime temperature is in the mid 70s, the leaves are just starting to turn colors, and pumpkin spice everything is available everywhere! I took a break this weekend from working on Christmas themed crafts and whipped up a few different Thanksgiving cards for our friends and family. 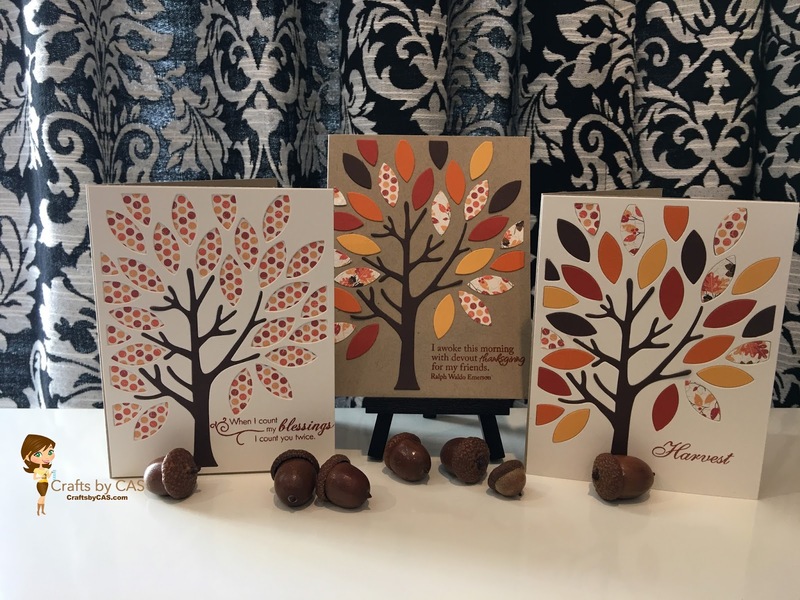 The Mighty Oak Die from Papertrey Ink made coming up with this design a breeze! I've mentioned before how much I dislike the wire shelving which came standard from our builder. 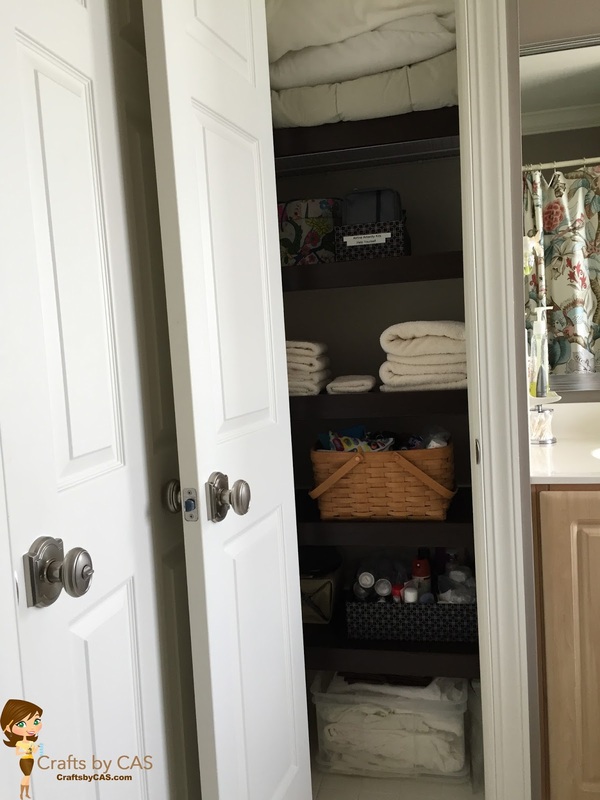 We are slowly updating the closets throughout the house, and are now onto the hall bath linen closet. 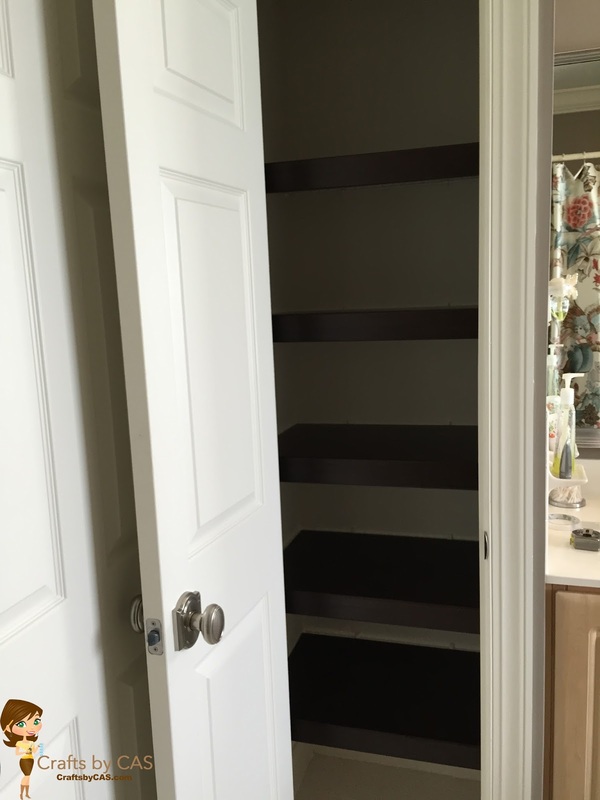 It's a small, basic, non-descript closet with five wire shelves. 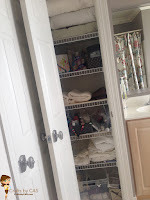 We are fans of easyclosets.com (see Our Kitchen Pantry Overhaul, Mom's Bedroom Closets) and started our search there. 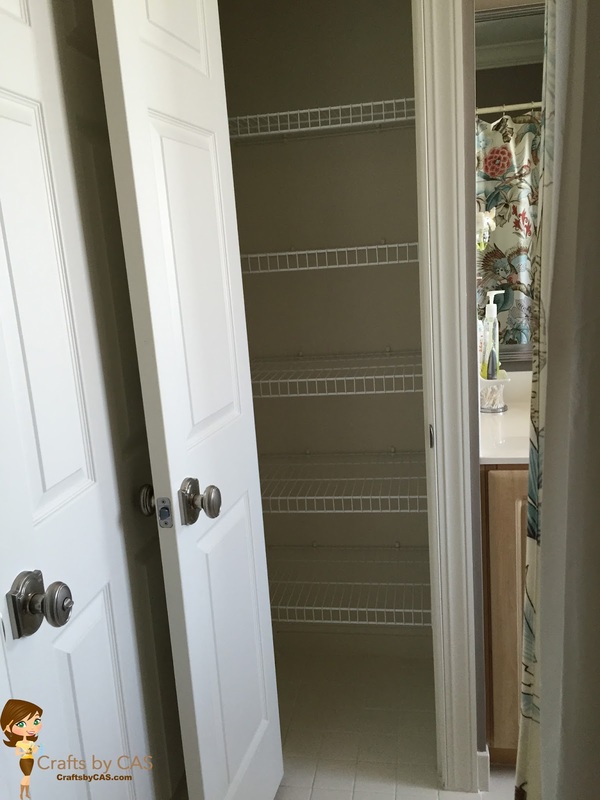 The simplest design replacement would have cost just under $300. 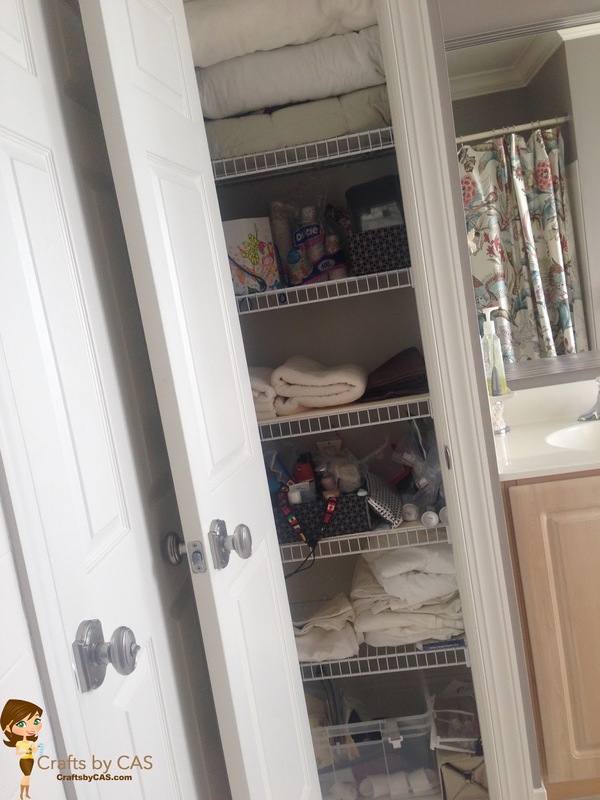 Right now, that is out of my budget for a bathroom only used by occasional overnight guests. I did some searching online and found this product called Renew - they are shelf covers for wire shelving in kit form. This is just down right GENIUS in my opinion! There is a wide price range online for this product, so look around! For example, Wayfair has them for $21.99 each, Bed Bath Beyond has them for $26.99 and the Renew company site has them for $29.99. However, I found HSN had 36 inch kits on a super duper clearance of only $6! (The shipping was another story - the first kit shipping was $7.22 and each kit thereafter cost $3.60). 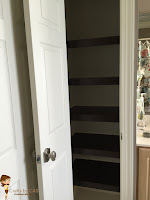 The all-in price for the five shelves in the linen closet was $64.91! Pretty remarkable. After installing the first shelf, we got the hang of it and the rest moved along quickly. 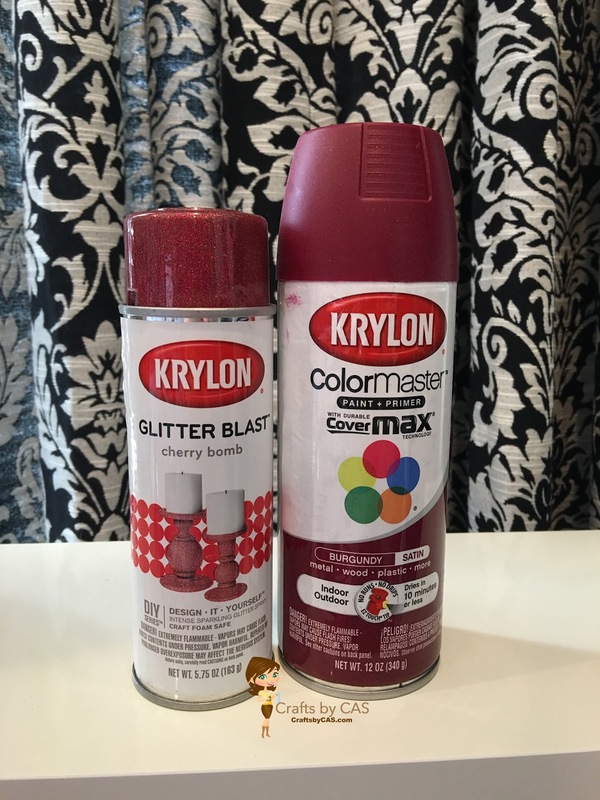 I like this inexpensive, easy product! This company sells a wide variety of lengths and finishes. We chose the 36 inch wide kit in espresso. 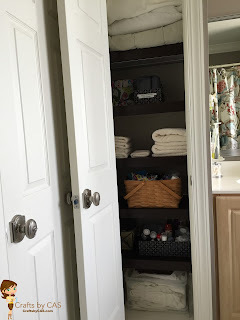 I'm thinking this may also be the solution for our master bath linen closet and perhaps the guest bedroom as well! Stay tuned! Jon has a cousin who lives in San Diego, California (lucky him!) who recently got married. Since he still has extended family back here in Pennsylvania, the couple decided to gather folks together for a casual "Wedding Picnic" at his mother's home. I always struggle with new card designs, so I used the invitation for guidance on this single layer card. 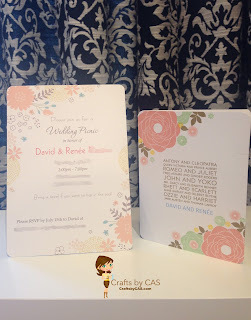 The colors reminded me of the Stampin Up 2013-2015 In Colors (which I guess are now actually "out colors" since they are discontinued). Still feel like I am in a creativity rut, but happy how this turned out!